Organizing your garage just got a lot easier! Our Unique Lift™ garage storage system is the fastest way to create extra storage space without needing a ladder to access your stuff. We provide customers across the U.S. with a solution to their on-going storage dilemmas. We put to use the space above your garage door – space that is normally considered useless. The Unique Lift™ product provides up to 96 cubic feet of storage space – that’s 21 storage containers you can fill with toys, games, decorations, pool equipment and more! The Unique Lift™ garage storage solution provides an additional 32 square feet of space at the push of a button. It eliminates the need for heavy ladders because the storage basket is lowered safely to the ground and can hold up to 500 pounds. You can reduce clutter while making your belongings easily accessible. And most importantly it’s a safe alternative for those with limited mobility or families with young children. Why should you choose our garage storage lift? 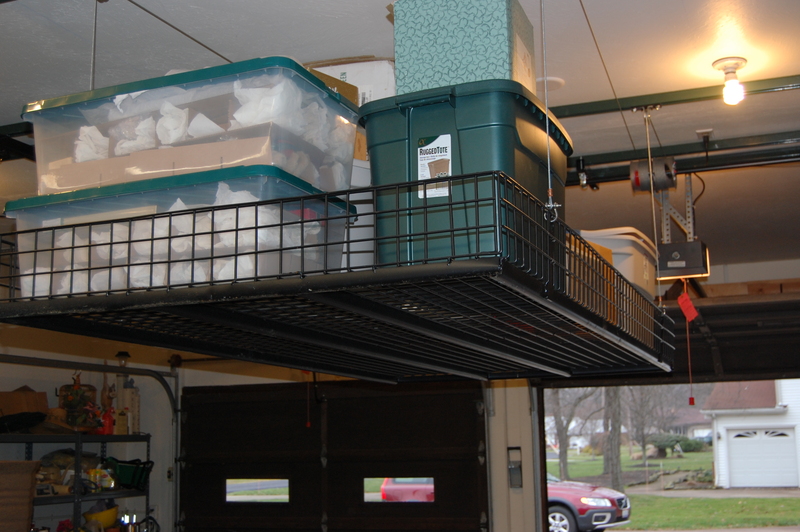 Create space – Utilize the wasted space above your garage door. No ladders – Access your stored items without the danger of climbing a ladder. 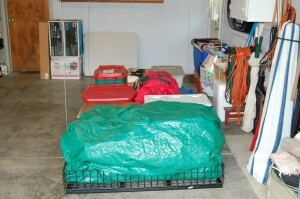 Convenient storage – Reduce clutter and make garage storage easy and accessible. Safety – Built-in safety features make it ideal for families with children or those with limited mobility. Space saver – Perfect for those who live in a condominium with limited storage space. 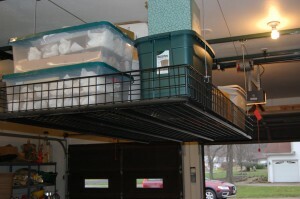 Unique Lift Garage Storage Systems are designed to fit each customer’s needs accordingly. Our pricing varies by application and our dealers will work with you to determine the best arrangement for your garage. Please call (800/287-1014) or email us (mneibecker@unique1lift.com) for a local distributor in your area. *Free local installation offer applies to the Cleveland-Akron-Canton area. Contact us for more information at 800-287-1014 . For a detailed explanation of our shipping, return and warranty policies, CLICK HERE.